Creating self-driving cars is a distant dream or it was what most technology experts assumed, until Tesla made it simple by launching a software update for their Model S electric vehicle. The announcement came out of the blue and much to the surprise of the owners who never expected their car to drive on its own or something similar to that. For safety reasons and in order to avoid too many government restrictions, Tesla has ensured that the car won’t drive for long unless you touch the steering from time to time. The sensors will take your presence into account and continue driving on its own with minimal assistance from a human. With all these nifty features, it isn’t surprising that some have already started trying to push the vehicle to its highest autopilot capabilities. 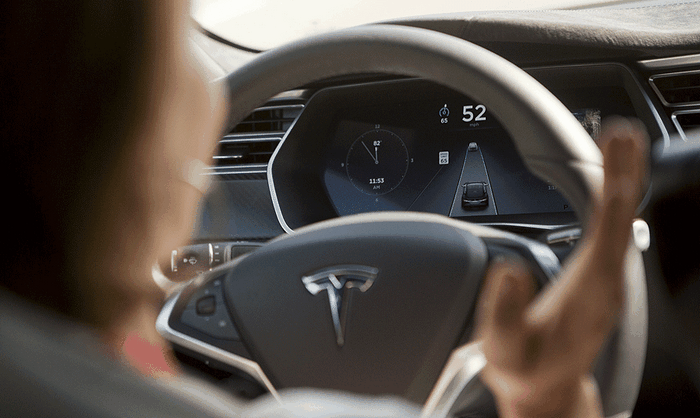 While the car manufacturer is on a completely defensive stance, claiming that their autopilot software feature is a beta under test, their Model S has already managed to create two different transcontinental records in such a short period. The software was released a week ago and it’s surprising to see people creating records out of it in less than seven days. A group of people has teamed together to drive the P85D sedan from coast to coast in pure autopilot mode. They have set the record for the fastest ride through such a distance without human interruption. It isn’t the only record because the Model S being a fully electric vehicle has also created a new benchmark by being the first EV to successfully travel such a long distance on self-driving technology. Alex Roy is the head of the team and the group has already accomplished a similar feat a decade ago in the BMW M5. They set a record time within which they crossed from one coast to another and this new record amplifies not their driving skills but their ability to sit in a car without doing nothing much for so many hours. The team had to spend nine days on the vehicle and other cars to complete the trip. While Tesla claims that the Model S autopilot mode is not complete and is designed to work only with a driver’s assistance, the car did a pretty good job on the road. The only problem is that Guinness World Records don’t take timed driving records on public roads into account due to safety reasons which deters the team from registering anything official.